The Sales Tax return reports total revenue, and I am trying to adjust the sales account in Quickbooks, so that they agree. There are several categories of revenue, one of which is Sales Tax, which is a liability that is paid in full each month. Right now my sales account is off by the Sales Tax. My journal entry needs to credit both revenue & Sales Tax liability. Sales tax collected is not revenue. okay, I will swallow my pride, and ask my co-worker. juro wrote: okay, I will swallow my pride, and ask my co-worker. Are you using the sales tax tracking capability built in to Quickbooks, or trying to doing it all with journal entries? The former is recommended. Is client including sales tax in their gross revenue figure? If so, why? It should be going straight to a liability account, completely bypassing revenue. 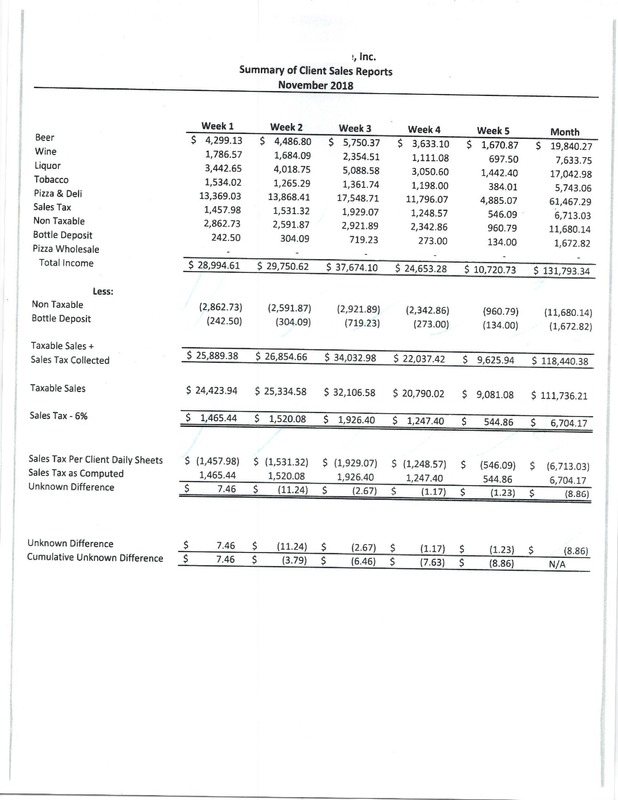 Use the sales tax tracking as makbo suggested, it really simplifies everything. This will then reduce equity and get you to where you need to be, assuming sales tax liability and payments are correct. Are you sure Sales Tax and Sales should be the same? I have a job on my desk now where Sales Tax is reported on the accrual basis but Sales for income tax purposes are recorded on cash basis. 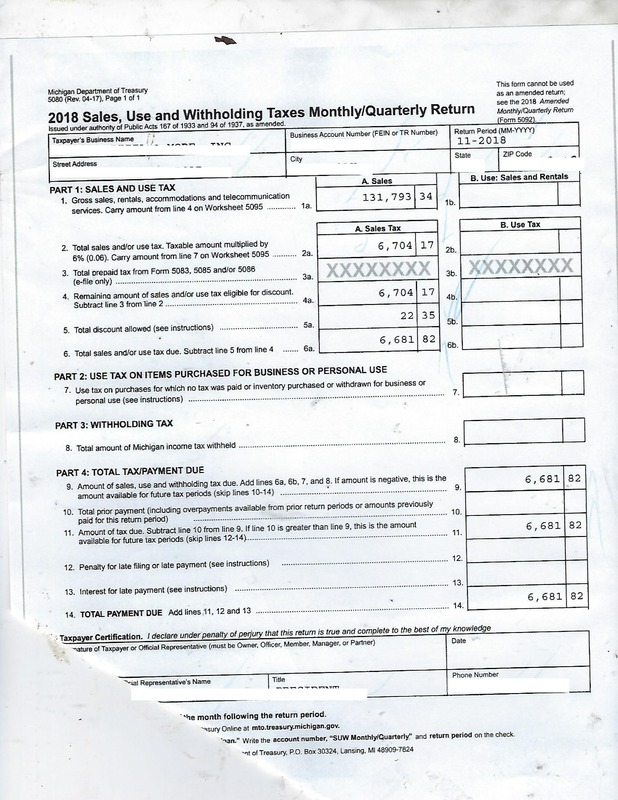 CornerstoneCPA wrote: Is client including sales tax in their gross revenue figure? If so, why? It should be going straight to a liability account, completely bypassing revenue. What other system are they using besides QBs? Certainly they have a POS or warehouse management system (but since it's pizza/deli, I assume it is a restaurant of sort, so POS). Sounds like a configuraiton error in the POS is causing sales tax to be reported as revenue instead of strictly a liability. If they ARE using an external system that exports to Quickbooks, then the prior suggestion of using the QB sales tax tracking will not work (at least, it did not when I last tried using it under this scenario). Since there is an error in sales tax calculation (likely result of rounding on that volume of sales), what I said previously still applies and also corrects their financial statements. Disregard sales tax revenue except to eliminate it. For the discrepancy, plug to equity unless MI gives a discount for paying early, then I account for it as other income. thanks. today i turned over the client books for review, with sales tax excluded from revenue. man, i thought i was going crazy last week.